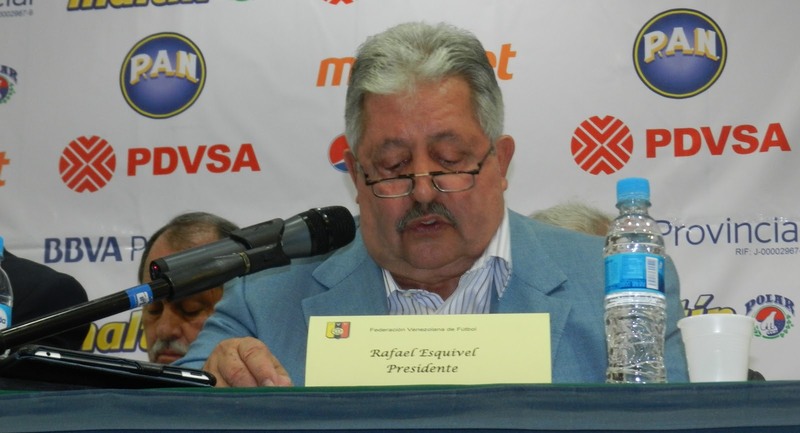 EfectoCocuyo has fresh details on several companies connected to disgraced, jailed former Venezuelan Soccer Federation chief Rafael Esquivel that were handled by a small group of relatives and associates. Esquivel is the president of shipping business GPE Express, which is a subsidiary of Grupo Los Robles. A woman named Mirbella Esquivel is named as GPE’s head of international operations. The companies are formally registered, yes, but do they do anything? Doesn’t seem like it. When EC reporters went to the offices of such companies or called their phone numbers, they found no signs of activity. They seem to be shells. EC’s reporters went also to the alleged offices of another Esquivel-connected company La Isla Corp. and found out instead something called IBI Accounting Services. What do both have in common? Óscar Flores, who is the chairman of La Isla Corp. (Esquivel is the VP, secretary and treasurer) and according to the only IBI employee, is also part the accounting firm with both Esquivel and his nephew. But legal documents say that the actual owner of IBI is one Rafael Sosa, who appears as the register agent La Isla Corp’s official papers. Airam Fernández’s report also says that Grupo Los Robles had its Venezuelan offices in a Esquivel-owned gas station located in Margarita Island, which has been already seized by the authorities. The full article is well worth a read. All this happens in the wake of that New York Times report about the eight Florida properties owned, and very poorly asset-protected, by Esquivel makes it clear what kind of character had been running our soccer forever and a day. May the Esquivel investigations be a tiny amuse-bouche, just a sense of what can happen when serious investigations go after the seriously corrupt.